If you have an Amiga with an internal CF drive or any other way of playing whdload games such as through Emulation like WinUAE, then this may be the software that your Amiga thanks you for. 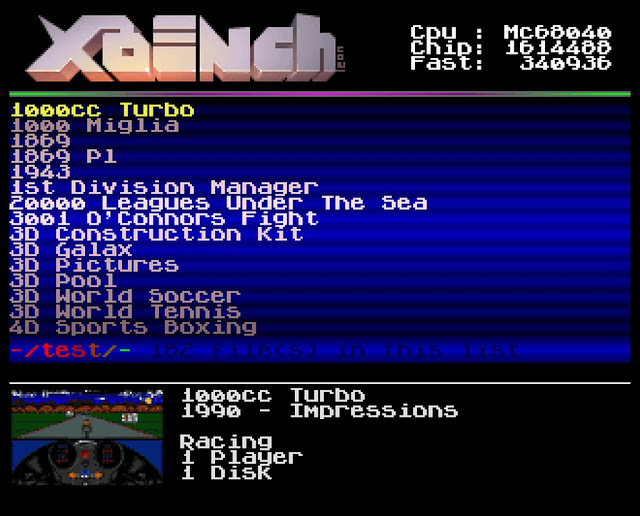 Although there are other OS utilities to play Amiga games such as AG-launch and Igame, they don't have the sparkle and flare that X-Bench does, which is not just an Amiga game launcher but it has many other cool features as well that make this an incredible pre-Christmas release. This front-end launcher can autoscan your hard drive to find all the whdload games available and organise them in an easily usable list. X-Bench can also manage manual listings, internal script systems and has an integrated CLI. 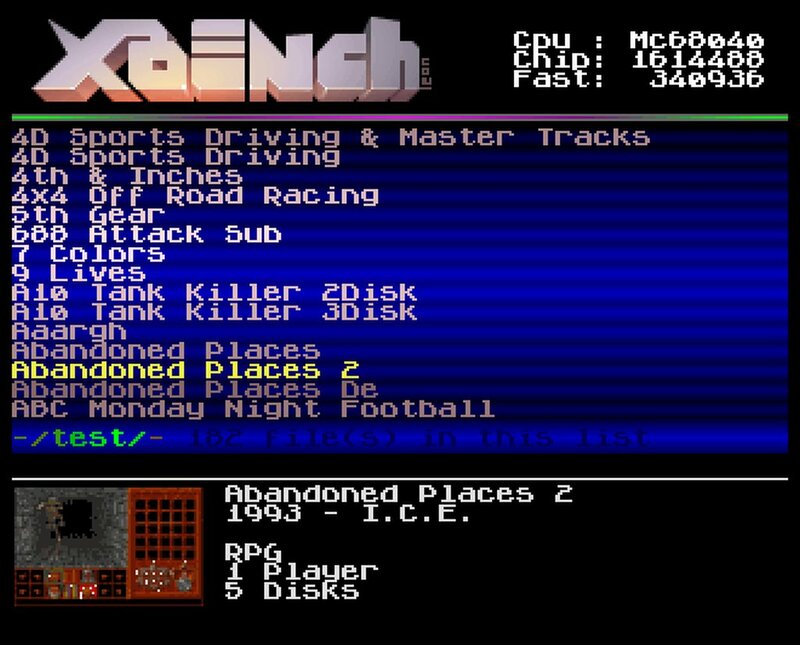 The best thing is though, that this launcher uses very little resources and is compatible with many Amiga set ups! - Just check out the major features below that have been included or improved upon which includes games screenshots implementation. & r10 and some new things. Merry Xmas to ya all ! 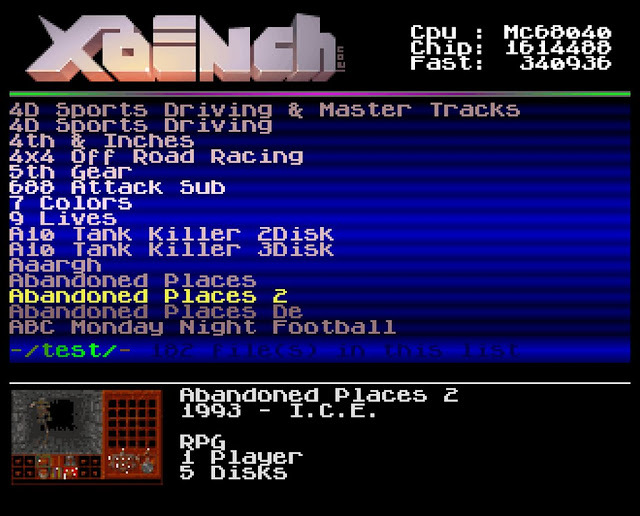 -Added the Display Mode switch support. of the regscreen was not working and stay freezed at 501). -Display is no more forced to 60Hz until you've chosen this option. (This was the case in some internals previous release). -Code optimisation (near 10% lighter). Need less memory. -Version number fixed in debug mode. subdir) was failing (No sound). Fixed. -Position error in the audio playlist. Fixed. -Fixed the checkerboard loader for the Display Mode switch. -Fixed the useless permanent refresh of each track Volume Oscillo. -Now you can quit Xpl0rEr with the "Esc" Key. -Fixed the bug that was adding a blank entry at the end of each xpl. shorter than the previous one. -Release number and date fixeds. -The buffers of the listings were not properly cleared. fixed. -New Xbench cLi logo made by "sns". -Audio playlist path bug fixed again .. and working this time. the previously selected path saved in the launchers.prf. Fixed. the previously selected playlist saved in the launchers.prf. Fixed. -Fixed the format of the playlist path in the prefs file. -Selecting a playlist saved in the ram disk was going to guru. Fixed.